Iron Filings – Yes, Iron Filings and what to do with them! 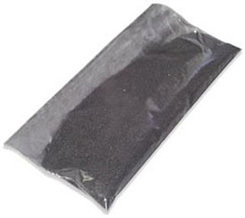 Iron Filings are not the most exciting product we carry in the store. Its a bag, and it has 1 pound of Iron Filings inside it. Oh, and a label. Gotta have the label saying what it is. That’s it. And yet we sell quite a few of them! 2) Making Rust: There are a number of experiments listed out there where you add vinegar to iron filings to show how it oxidizes and makes rust. Sometimes when you do this you will get a ‘rotten egg’ smell and its not exacly certain why that happens. 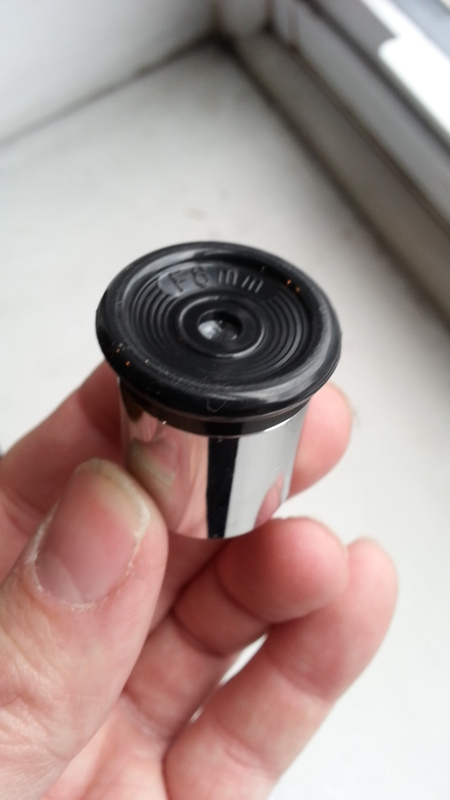 3) Budget Ferrofluid: Actual ferrofluid is kinda pricey, so many folks use irong filings sealed in a test tube with light oil (30w) to act as a budget version of ferrofluid. Its efficacy is…debatable. 5) Music: Let’s just watch this, shall we? 6) Make a Fuzzy Magnet Pet. 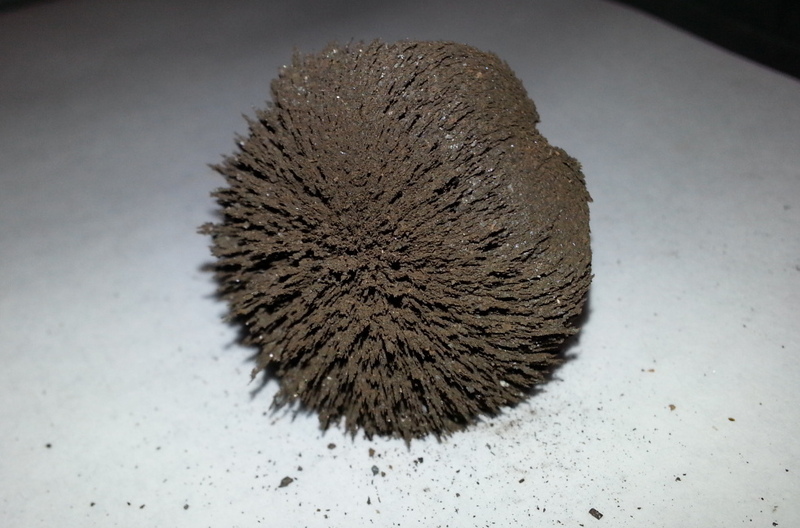 Take a powerful rare-earth magnet and drop it into a bag of iron filings to get this nifty fuzzy iron tribble! Want to buy Iron Filings? Pyrex and Bomex: The glass your labware is made of. When it comes to labware, there is only one material to use: Pyrex… no wait that’s not right, that’s a brand name. The actual answer is Borosilicate glass. Borosilicate glass has a lot of brand names: Pyrex is the most well known (a product of Dow Corning) but as the material itself is not subject to copyright there are more than a few other names: Bomex, Pallex, and a few others. But in the end they are all Borosilicate glass, from the lowliest test tube to the fanciest distillation equipment. Why Borosilicate glass? The answer is that borosilicate glass is very resitant to heat. Its not that it doesn’t get hot when heated, but rather when heated it does not expand like other types of glass. If another type of glass was used the expansion from heating would result in the labware shattering. This is not to say that borosilicate glass is not immune to the effects of flame. In fact you really should not expose glass labware to direct flame if you can avoid it. Use a hot plate, or seperate the flame from the glass with a ceramic pad. Borosilcate glass is highly valued for its lack of expansion when heating – in fact higher-end reflecting telescopes make the mirrors out of borosilicate glass because the low expansion means the sensitive surface of the mirror will not change as the telescope goes from a warm indoors to a cold winter’s night. So why do they make labware out of glass at all? Why not some other material? Well the main reason is visbility – when doing labwork you need to see what is happening in the glassware wether you need to see it to measure it or to observe the reaction taking place. The secondary answers are; metal won’t react well with acids, cermics need to be too thick to heat quickly, plastic doesn’t heat well, scratches, and is bad with some checmicals (not that they don’t make plastic labware). So back to the glass – some often ask us if it matters if the glass is made of the brand Pyrex or not. the answer is: it depends, but probably not. You see, all glass labware might be made of the same glass (branded or not) but not all glass labware is constructed the same. 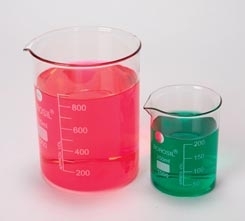 A 500ml beaker from a cheap brand might have thinner glass than a ‘name’ brand. Other factors that enter labware prices are: calibration (how much effort did they spend make sure the markings are accurate), labelling (do the markings stay on the glassware? not always!) design (some labware may not have a rolled top to preventing chipping or lack a pouring spout in certain beakers) all labware is a compromise of features vs. price somewhere. But whatever they do with the design, they will be using borosilicate glass. Telescope Tips: Spherical Mirror vs. Parabolic Mirror. This is actually an issue that may be affecting more and more people buying their first telescope. A few years ago multiple sellers on eBay flooded the market with cheap no-name reflecting telescopes that had short tubes. There’s nothing inherently wrong with short tube telescopes, in fact they can be great for beginners as they tend to have wider fields of view. ( Because Short Tubes = Lower mangifications = Wider fields of view = easier to find objects in the night sky!). Unfortunately all those cheap telescopes with short tubes had a big shortcoming – they all had Spherical Mirrors in them instead of the more called-for Parabolic Mirrors. BIO-RAD Genetics home science kits! We’ve been waiting for this item for a while, and because of some issues with the manufacturer it took a bit of time to get them in stock, but they are here! Three new products from BIO-RAD, a company mostly known for it biological educational equipment. When you get down to it, a telescope is optically made up of two parts: The objective lens or mirror and the eyepiece. There are other optics involved, of course (a secondary mirror is rather critical in a reflector telescope), but for the most part it is the part you aim at the sky and the part you actually look through. We are going to discuss the latter today. We’re not going to discuss the various types of eyepieces, that would involve several posts on its own. But we will discuss the issue of eyepiece size, and how compatible they are with other eyepieces. Telescope eyepieces are remarkably standardized, very few other products work with other brands as well as telescope eyepieces! So in discussion of actual eyepieces, there are 3 sizes to deal with – barring a few very rare exceptions. Those sizes are .965″, 1.25″ and 2″. All the sizes refer to the barrel end of the eyepiece. The have nothing to do with the length, diameter, or focal length of the eyepiece. The size is the diameter of the part that actually goes into the telescope. This used to be referred to as the ‘Japanese Standard”. It has a barrel less than an inch in diameter (.965″ is equal to 25mm) and at one time was ubiquitous as most telescopes were designed and built in Japan. However, this size was generally seen as being inferior. You couldn’t but any decent amount of glass in it (needed for high-end eyepieces) and even Japan started moving on to 1.25″ eyepiece designs. The eyepieces faded out slowly and few sellers still had them as of 10 years ago. However some legacy equipment, old telescopes in ‘Dad’s attic’, and low-end telescope lines appear now and then and require the old lenses to work (or an adapter) so they haven’t completely gone yet. Far and away the most popular diameter these days. 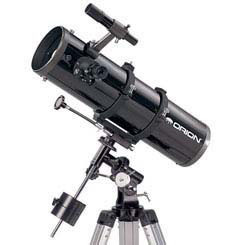 The 1.25″ used to be moderate-to-high end, but now even most beginner telescopes use this standard. It wouldn’t be too far out to suggest that 95%+ eyepieces today are this size. They come a wide variety of sizes and designs. What this means is that if you have an eyepiece for a telescope that was made in the past 20 years, odds are it will work with almost any telescope that was built in the last 20 years. Even if they weren’t the odds are still pretty good they will be compatible unless the telescope was low-end and old. The high end of eyepieces, these are gaining in popularity as they make for very comfortable viewing. The large glass apertures mean less struggle to center your eye along with optical comforts. 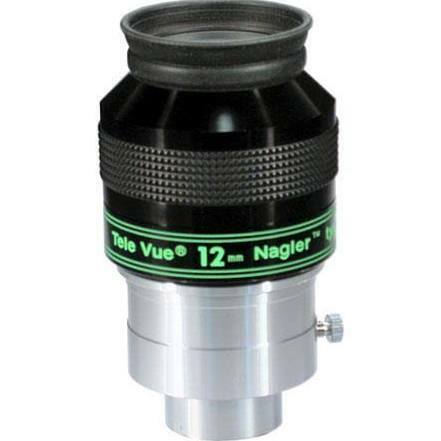 2″ eyepieces are gaining in popularity but will not likely surpass the 1.25″ as the standard as they are a) too bulky and heavy for smaller telescopes, b) hard to design for shorter (higher magnification) focal lengths. Other designs – Occasionally, some obscure telescope maker tries to reinvent the wheel and makes a telescope that uses some kind of proprietary eyepiece. This never succeeds but does result in some odd telescopes and eyepieces rolling around the marketplace. They are extremely rare, however, so don’t worry too much about buying one by accident. So when you get down to it, it is fairly amazing that telescope’s use so much of the same standards. Especially given that no national or international standards were ever officially set such as happened with microscopes. In the end, it is probably simply a matter that no vendor ever wants to have to tell a customer that the $500 worth of accessories are now useless. You might get away with that in a large, everyday-use market like computers (at least over a period of a few years you can), but not with a hobby like astronomy. 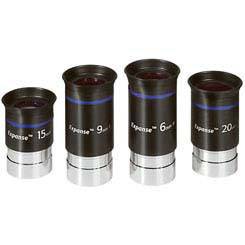 Want to buy telescope eyepieces? 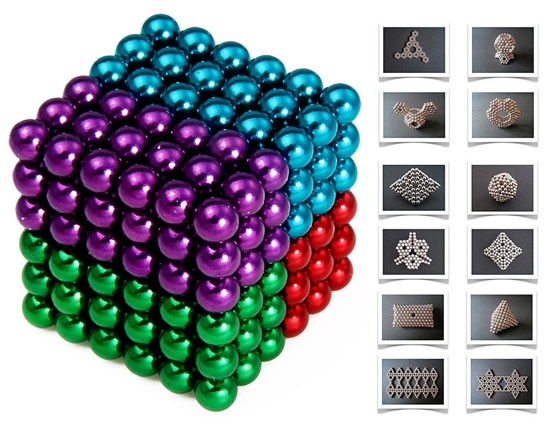 BuckyBalls, ZenMagnets, NeoCube or other Spherical Magnets now (mostly) banned. Breakin’ the law! Breakin’ the law! As of yesterday (April Fools Day ironically) Those much loved Spherical Magnet sets are officially banned from sale by the Consumer Product Safety Commission. After years of litigation, arguments, and sometimes even corporate tantrums the CPCS has said they cannot be sold for amusement, or as a toy, even to adults. That flux level is very low, and while most standard magnets fit under it, the rare-earth magnet power needed to give these spherical magnet sets their ‘stickiness’ won’t be reached. So does this mean my old set of BuckyBalls is illegal? No, the law does not outlaw any magnets. It does make them illegal to sell. Enjoy what you have, they cannot take them away from you. But they can prevent you from replacing them if you lose them. Couldn’t you sell them as not being a toy? I don’t doubt that some may try to do this, but really there is not much utilitarian use for magnetic sphere sets. You could sell small numbers as an artists supply perhaps, but trying to call them anything else will probably not fool the CPSC. How can the CPSC do this? They have jurisdiction over consumer products. Which is a lot of things. In fact it is everything we use every day. Most of the time their decisions make a lot of sense. In this case, their decision is not a popular one. You can give the CPSC feedback, but do not expect them to go back on their decision.